Free shipping on all domestic orders $150 and over (wholesale excluded). With digestion being the ultimate factor of health and disease, we must do all we can to keep our digestive fire strong and robust. One simple way to aid in digestion is to add digestive spices to your meals. This helps to reduce the heaviness in food and ignite your inner fire. As an added bonus, many spices possess a wide range of additional health benefits such as being detoxifying, anti-inflammatory, beneficial for weight loss, and even healing toward the mind. Whether you are a new-comer to using spices in your food, or you simply are looking to change up your already vibrant spice collection, this digestive spice recipe will be a great addition. This blend can be added to any savory dish such as soups, stews, stir-fries, kitchari, dals and even meat dishes to lighten up the meal and allow better digestion and absorption of the nutrients. It will help reduce gas and bloating after food intake, and will strengthen your overall digestive fire (Agni) when used consistently. 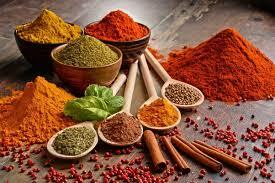 Click here to read about the health benefits of these common kitchen spices! 1. In a spice grinder or a clean coffee grinder, add all of the spices together. 2. Grind for 1-2 minutes or until the mixture becomes a fine powder. NOTE: If a grinder is not available, a mortar and pestle can be used as well as certain blenders (not all will work). If none of these options are available, just use powdered spices and simply blend them together. This spice blend can replace the recommended spices for most of our savory recipes we share. Discover some great recipe ideas for your new spice blend here! Discover our Digestive Spice collection! Discover our complete line of Digestion-Enhancing Products! This quiz is a good place to start to discover which dosha is most predominant in your constitution (Prakruti). Please keep in mind that we all possess all 5 elements in our bodies and therefore possess all 3 doshas as well. The information on our website has not been evaluated by the Food and Drug Administration. 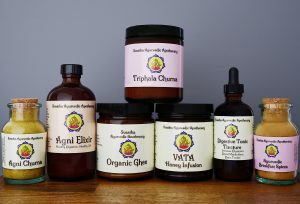 Svastha Ayurveda’s products and are not intended to diagnose, treat, cure, or prevent any disease. 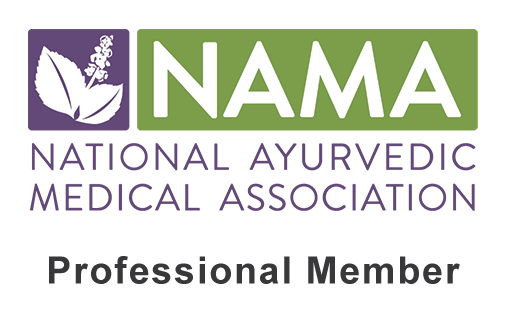 All information on this website is for educational purposes only and is not a substitute for medical advice, diagnosis or treatment.